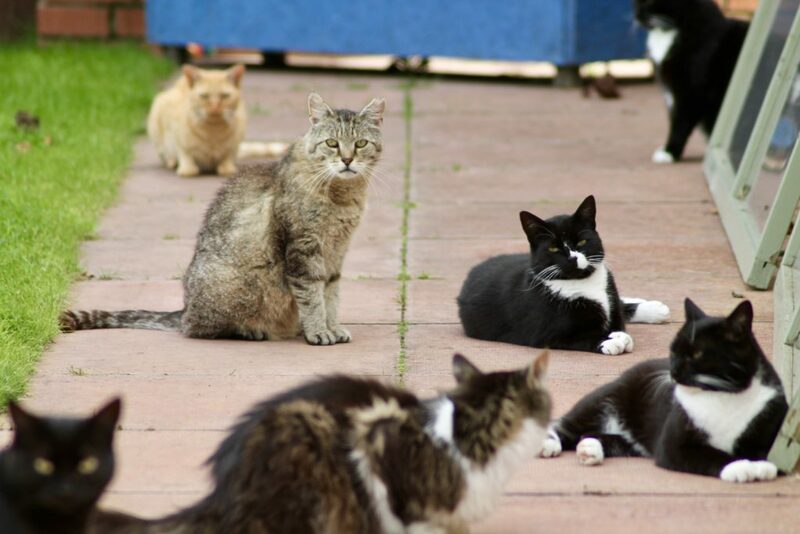 We typically have around 20 cats living on the grounds of our shelter. These cats usually range from 2 to 8 years of age and come in all shapes, sizes and colours. Whilst most of these cats are not too keen on interacting with humans, they are without exception great with other cats, and are well suited to living with feline company as working cats, in rural, farm and stable situations. In exchange for a regular supply of food and water, and somewhere safe and warm to shelter, they will happily keep their home territory rodent free. Like all our cats, before leaving us our groundscats are neutered, parasite free and have been microchipped. If you might be interested in giving a home to a pair (or more!) of our groundscats, please do contact our Shelter.